A video is prompting outrage online after a patient was recorded being "dumped" by guards outside a hospital in Maryland. A bystander, Imamu Baraka, captured footage of the incident on Tuesday and shared it online the following day. In less than 24 hours, the video has racked up more than 1 million views. 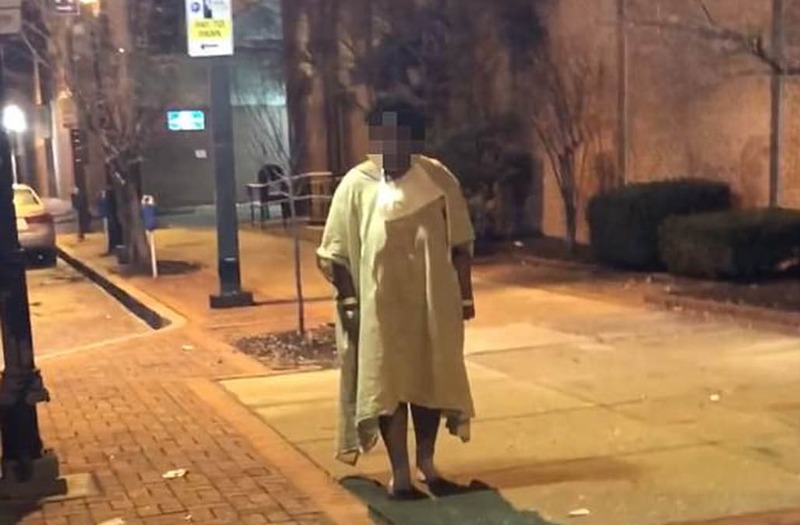 In the viral video, the security guards are seen wheeling out a patient to a bus stop and leaving her there in frigid temperatures, wearing only a thin hospital gown and socks. "It's about 30 degrees out here right now," Baraka is heard saying to the guards during the encounter. "Are you OK, ma'am? Do you need me to call the police?" Now, the University of Maryland Medical Center is facing accusations of "patient dumping," or the removal of patients, oftentimes uninsured or homeless, who are unable to pay for their services, CBS News reported. However, it remains unclear if that was the case in Baltimore. "Come on and sit down," Baraka said to the patient in the video. "I'm going to call and get you some help." After dialing 911 for the patient, Baraka said the medics ended up returning her to the same hospital. In a statement to CBS, the University of Maryland Medical Center said they shared the "shock and disappointment of many who have viewed the video. In the end we clearly failed to fulfill our mission with this patient." According to the outlet, paperwork is underway that could potentially result in personnel action against the hospital staff involved.